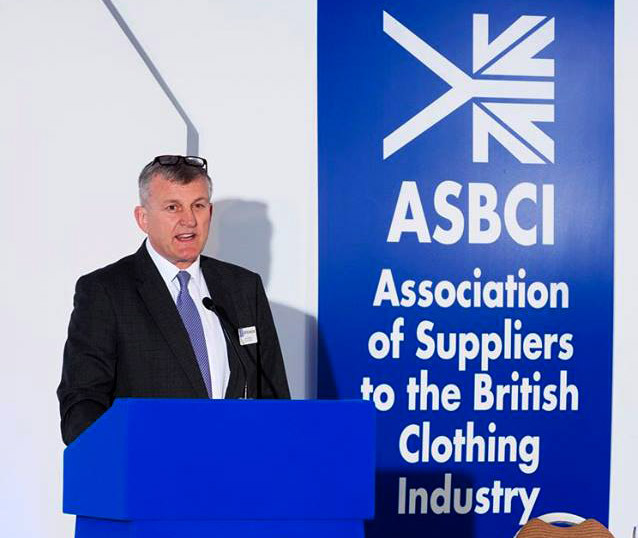 The Association of Suppliers to the British Clothing Industry (ASBCI), formed in 1992, is the only association to bring together the clothing industry from fibre manufacture to garment manufacture, retail and aftercare. A centre of technical and commercial excellence where companies at the forefront of the specific sectors can discuss, share, and develop practices, processes and initiatives that will benefit their organisations and the UK clothing supply chain as a whole. The ASBCI activities include technical seminars, conferences, publications and technical visits; a student programme of events with a conference, seminar and visits, as well as the annual Student Design and Innovation Awards and Dissertation Competition. Association's members represent connections with and knowledge of all the key sectors of the industry, including Fibres, fabrics, linings, interlinings, adhesives, dyeing, sewing threads, buttons, zips, trims, sleeve head rolls, shoulder pads, machinery, presses, waistbands, garment processors, clothing consultants, clothing manufacturers, retailers, drycleaners, launderers, domestic detergent manufacturers, chemical suppliers, computer software and technology suppliers to the clothing industry, textile testing houses, research organisations, textile universities, and training bodies. The ASBCI is concerned with new technology, new ideas and new care labelling standards; and has an effective representation of members' interests in the UK, European and International standards committees. The ASBCI student membership programme is the most successful in the United Kingdom. Now with 15 of the UK's leading fashion colleges and universities as full members, student membership is expected to reach up to 600 students this year. The aim and ambition of the student membership programme is to enable student members to engage directly with the fashion industry and create exceptional opportunities for them to meet and learn from experts in the field. The association's experts have also published a number of helpful books, available for ordering on ASBCI's website - www.asbci.co.uk.